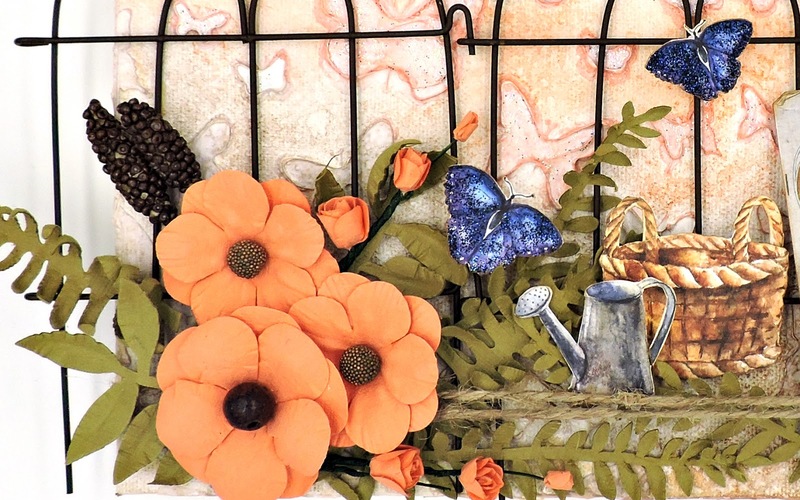 The "Autumn Bloom" Kit, with all of the rustic elements, made me think of creating a garden setting. 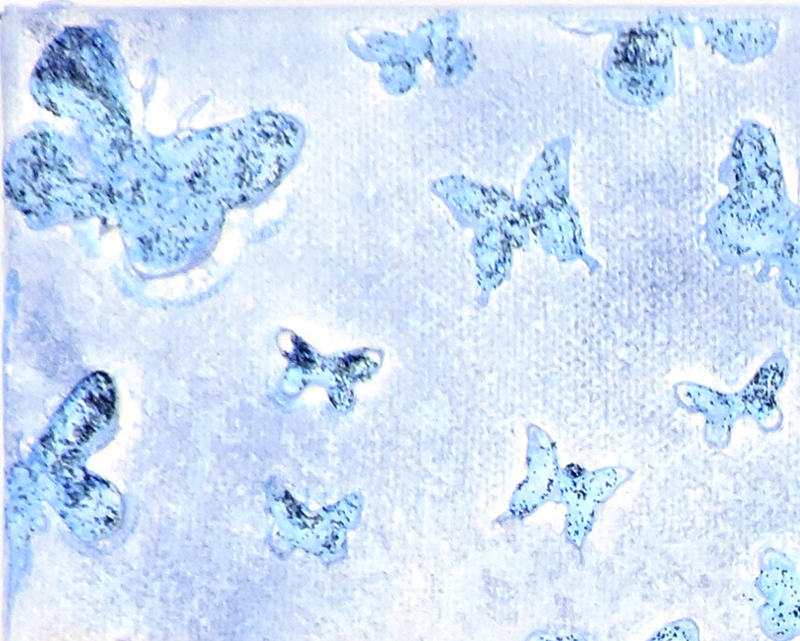 The Mediums Add-On, featuring Distress Oxide Inks from Ranger, made me think canvas. Here's how the two ideas came together. I had intended to wipe the ink off the stenciled butterflies, but I think that the Martha Stewart glitter paint works a lot better.